The Manitoba Sports Hall of Fame class of 2019 includes an athlete, a builder and a team. Former NHLer Alf Pike, coach Harold Mauthe, and the 1955-56 Winnipeg Warriors will all be inducted this year. Pike will be inducted posthumously into the players’ category after he passed away in 2009. Pike won the Stanley Cup with the New York Rangers in 1940. 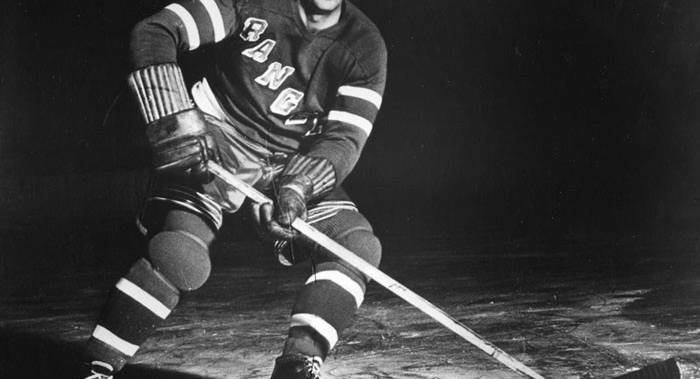 Nicknamed “The Embalmer,” Pike scored 42 goals with 77 assists in 234 career NHL games with the Rangers. Pike also captured the Memorial Cup as a member of the Winnipeg Monarchs in 1938. He went on to coach the Winnipeg Warriors to the 1956 WHL championship and also served for two seasons behind the Rangers’ bench as head coach. Pike was inducted into the Manitoba Hockey Hall of Fame in 1985. Mauthe was chosen for the builders’ category. He coached both football and basketball extensively for over three decades. He coached women’s basketball in the 1940s before leading the Winnipeg Light Infantry to back-to-back national junior basketball championships. He also spent 15 years as a basketball official. During the 1960s, Mauthe coached the St. Vital Bulldogs to a national football championship. He was inducted into the Manitoba Basketball Hall of Fame in 1985, and six of his teams have already been enshrined in the Manitoba Sports Hall of Fame. The 1955-56 Winnipeg Warriors were chosen for the team category. They were the first tenant of the old Winnipeg Arena. Coached by Pike, they won the Edinburgh Trophy, which was given to the winner of a series between the Western Hockey League champion and the Quebec Hockey League champ. The induction ceremony will take place on April 13 during Sport Manitoba’s Night of Champions.